found this pic on Pinterest SO PRETTY!! Go. Go outside and look up into the sky. Be still for a minute, and whether you are in the country or the city just look. Whether it’s nighttime or sunny it is absolutely breathtaking. I absolutely love to go out on a cold, clear winter night and look up at the stars and moon! It truly takes my breath away! To think that God created and crafted a whole other world that is beyond our reach is staggering! There are galaxies upon galaxies, stars upon stars out there! It is so amazing! Nighttime for me seems to sing of God’s might and glory! In the day everything is so fast-paced and we can get caught up in the craziness of our own cubicle of a life, however hectic that cubicle may be. But at night it is like that world expands, we can think outside of ourselves and gaze upon the AWESOMENESS of our Father who created beautiful stars for His glory! Sure there may or may not be other life forms out there but that’s not what I am talking about. I’m saying that there is more to life than our own little cubicles. We can get so caught up in our own lives, in our own messes, and daily monotonous tasks that we can miss the simple, yet extraordinary things in life! That is what I love about stars, in the darkness, every night, whether we see it or not, they are shining! In the darkness they are there shouting the glory of God as they are clothed in marvelous beauty! Each and every one unique and placed intentionally into the sky amid galaxies and endless skies. Even in the darkness of night, the Lord our God shows his great power! 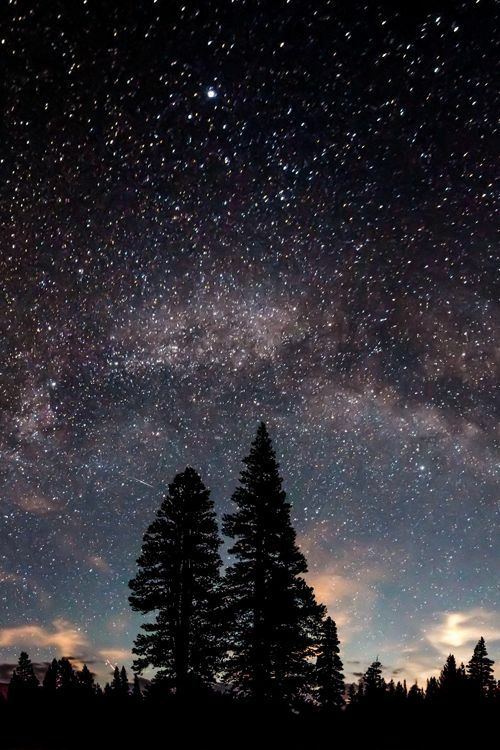 To know that the SAME God who crafted those stars also crafted this world and all its intricacies is AMAZING! The SAME God who created this world with words LOVES US!! We are made in the image of HIM the creator of the universe, not just our own little “universe” but the ENTIRE universe! He made us so that we could glorify him! He made us so that we could take pleasure and be blessed by his absolute awesomeness! Isn’t that absolutely magnificent! Now sure some of that got messed up with the fall but His love for us has never changed! He had a plan, even in the very beginning of Genesis He knew what was to come, and yet he loved us anyway. He had a plan of redemption, of love, from day one. If there is one thing I have learned this school semester is that the GOSPEL IS IN THE OLD TESTAMENT! From some of the very first chapters you can see God working and moving things to work towards his great and perfect plan. The God of the OT and the God of the NT can seem very different but if you look closely you can see that He is the same GRACIOUS and LOVING God from Genesis to Revelations. His grace, love, and power staggers me! I think it is astoundingly beautiful and amazing how God made us and loved us, and yet we fail to see it all to often, we mess up so much, and yet the Lord loves us all the same. I know I mess up all the time, I’m not perfect, but God is! That should be great news, but all to often it is not. All to often I want to take things in my own hands, work through things myself, and rely on myself. It’s actually silly! I am weak and at the end of the day I have to realize that I am weak but GOD IS GREAT! He is strong! Much stronger than me, and that IS comforting because if I really had to be strong and deal with everything on my own I would be a wreck!!! It would all be chaos! But God is shalom, He is peace and not chaos. He is wisdom, not confusion. He is love, not pride and anger, and that is the most comforting thing! All I have to do is trust him and I too can have peace! Trusting the Lord is hard because you may not always “feel” like you trust Him you just have to BELIEVE and pray for trust, pray for faith because even trusting God is not something we can do without Him! The Lord is great and He loves His children more than we can understand. One day He will bring those who love and trust Him to live and reign with Him and it will be oh so AMAZING. I cannot even imagine it but oh my friends I am looking for that day I am waiting, watching, and trusting! I may not always do it right I sin, I mess up, but the Lord is always there to catch me when I fall and cry out to him because He is peace, He is love, He is gracious, He is joy everlasting. He is the one who made the stars, the earth, and loves us all. He is our Lord, our King, and our Father whom we should glorify because of all that he has done, will do, and is. Our God is great and we should never forget that. So Go. Go outside and see the glory of our Father shine across His heavens ! Psalm 19:1-The heavens declare the glory of God and they sky above proclaims his handiwork. 1 John 3:1-See what kind of love the Father has given us, that we should be called children of God; and so we are. The reason why the world does not know us is that it did not know him. Hey y’all! I know this was a very different post than usual but this has been on my mind and heart lately so I thought I would share! I hope there will be more posts similar to these because I like sharing about God and all that he has done and is doing in my life!